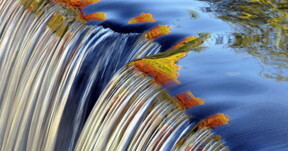 Nanotechnology Now - Press Release: Can graphene make the world’s water clean? Home > Press > Can graphene make the world’s water clean? Rather than a simple mix of one or two contaminants, most real world water can contain hundreds of different materials, and pollutants like heavy metals may be in the form of metal ions that can be removed, but are equally likely to be bound to other larger pieces of organic matter which cannot be simply filtered through nanopores. In fact the biggest obstacle to using nanotechnology in water treatment is the simple fact that small holes are easily blocked, and susceptibility to fouling means that most nanopore membranes quickly become barriers instead of filters.